If there was one thing this picture reminds me of, it's hunting! 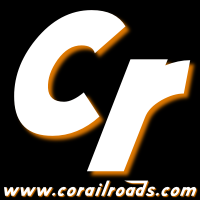 Yes, to keep their crews safe during hunting season, BNSF paints their locomotives in hunter orange! Well, maybe. But even so, it makes for a nifty side benefit, right? 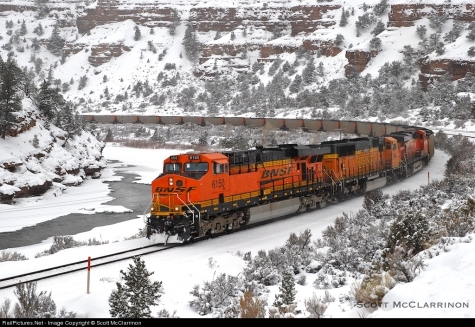 A BNSF coal drag makes it's way past Dotsero early on in February 2010. 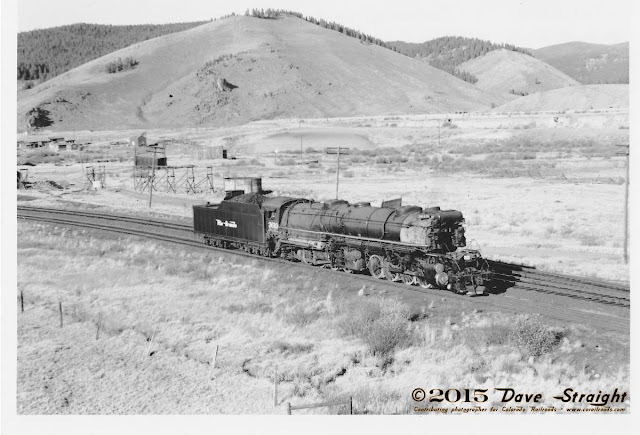 BNSF ran these coal loads over the Moffat line from the Utah Railway to points east back then. They stopped for a while, but I hear the Utah coal trains are going to be starting up again soon. Great photo.